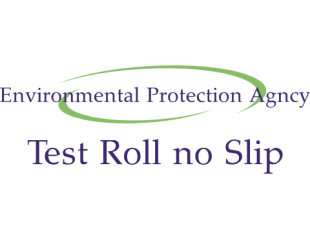 Environmental Protection Agency EPA KPK NTS Test 21st 22nd April 2018 Roll no Slip is available here. Test dates are Saturday 21st & Sunday 22nd April, 2018.EPA of Khyber Pakhtunkhwa (KPK) was established in 1989. Environmental Agency of KPK initially established under the administrative control of PP&H Department. In 1992 KPK Environmental Protection Agency EPA was transferred to PE&D Department. The foremost function of Environmental Protection Agency EPA is to protect the environment. Candidates must follow the following steps in order to get the roll no slip for Screening Test of EPA Jobs test. Students go to the official website and enter their id card number. Roll number slip can also be check as well as download by entering name in the form mention above. After entering name or id card number. Roll no slip will be display and also complete details of test date as well as test venue. You can download as well as get the print. Select the print option and press the (ctrl+p) to get print of Environmental Protection Agency EPA KPK NTS Test 21st 22nd April 2018 Roll no Slip. Mobile phone and any electronic device is not allow in the test center. Mobile carry facility will not be available a the test center. If your photograph is missing from the roll no slip. Then you must paste your recent photograph on the roll number slip and bring it on the test center. With out photograph on the roll number slip/ list of candidate you are not allow to appear for the test.